Peek inside Devon Teuscher's pointe shoes and you'll see a discreetly placed number. "I want to see how many shoes I go through in a year," says the American Ballet Theatre principal. "Last year it was close to 200 pairs." Teuscher keeps a Sharpie handy for this season's count in a small pouch containing other shoe accessories like ribbons and elastics. It's one of a handful of carefully organized pouches stored in her red mesh bag. "I'm definitely not a pack rat," she says of her no-frills style. Teuscher's bag came from Ascot + Hart, a California boutique that her sister introduced her to. "I love that it's breathable and lightweight and it can pack quite a bit. It's also easy to wash."
Teuscher shares her bag's real estate with Riley, her four-and-a-half-year-old cavalier poodle mix; his favorite rubber ball and leash lie alongside her hairpins and shoes. Two to three times a week, Teuscher brings Riley to work, where he's a big hit with the rest of the dancers. 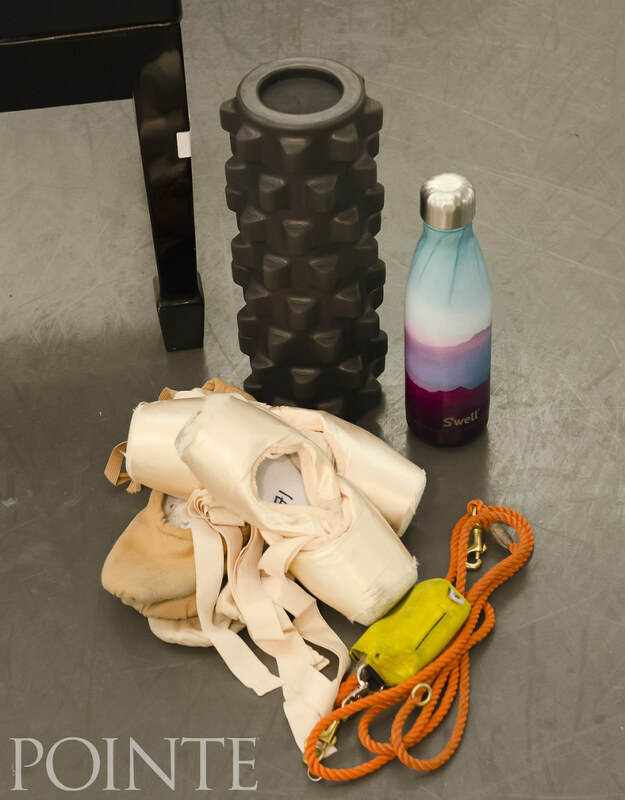 "I'll put his leash under my bag of pointe shoes and tie him up, and he'll just stay there. He also likes to sit on my tutus." 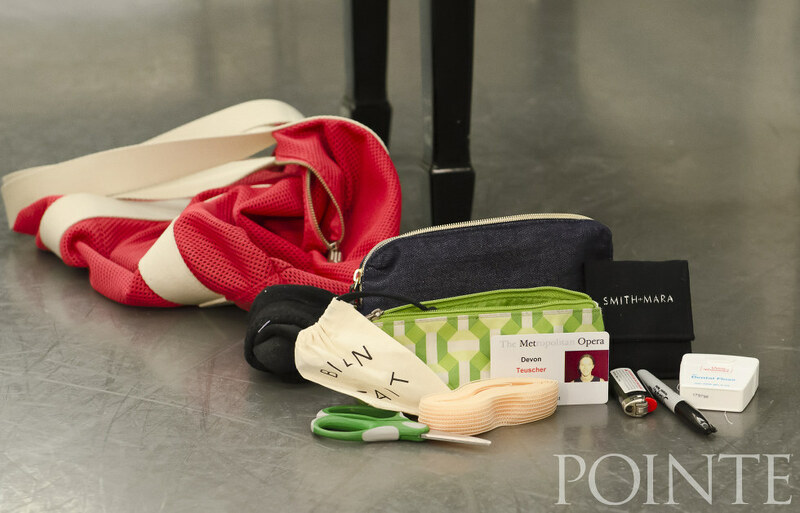 From left to right: Red mesh Ascot + Hart bag; scissors; ribbon; Metropolitan Opera House ID card; various pouches holding elastics, sewing tools and hair pins; lighter (for singeing ribbon edges); Sharpie; dental floss ("to sew with"); Riley's favorite blue ball; two pairs of ballet shoes; Bloch Alpha pointe shoes ("I've worn Alphas since I was 15"); Rumble Roller ("I always use this in the morning. I've tried others but I like the pressure points on this one"); dog leash; S'well water bottle.